I very much like the concept of customizing your own world, but wouldn't change the landscape in a drastic-way, such as changing Mountains into Farmland. However the things I would like to do would be as for Example: ROME...to be to Build a "Hadrians-Wall... EG:(Historically a Wall built on the Northern Borders of present day England to keep out the Scottish Marauders from rampaging through the Northern Roman Settlements bordering Scotland and England) instead to build a Substantial Wall on the 'Italian Northern Frontier' of Italy itself along with Formidable Fortifications as well as Naval-Bases on either side of that region to thwart Naval based invasions which may attempt to circumnavigate or by-pass the Wall Fortification!. 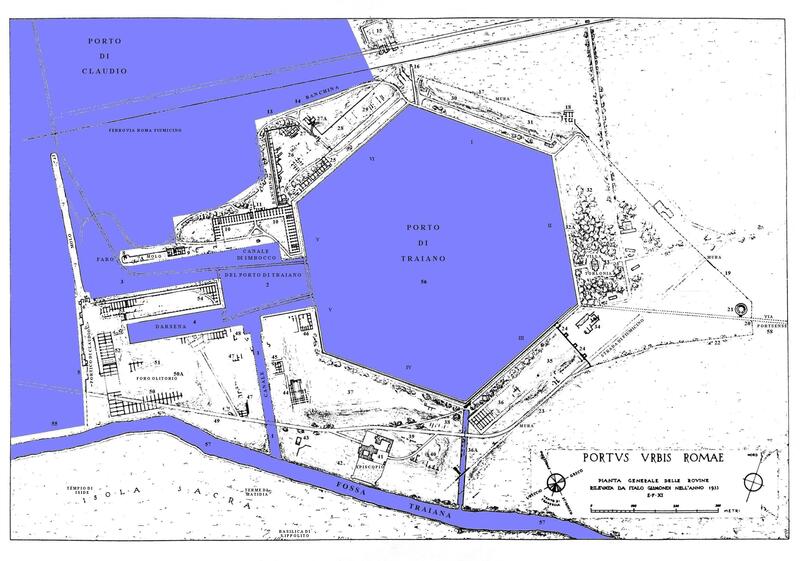 The "Romans" of that time period also built a 'Canal' from the Ocean to Rome itself to facilitate the transportation of trade-goods as well as a substantial Harbour in Rome-Itself...(Named "PORTA") to repair and construct Naval War-Ships. 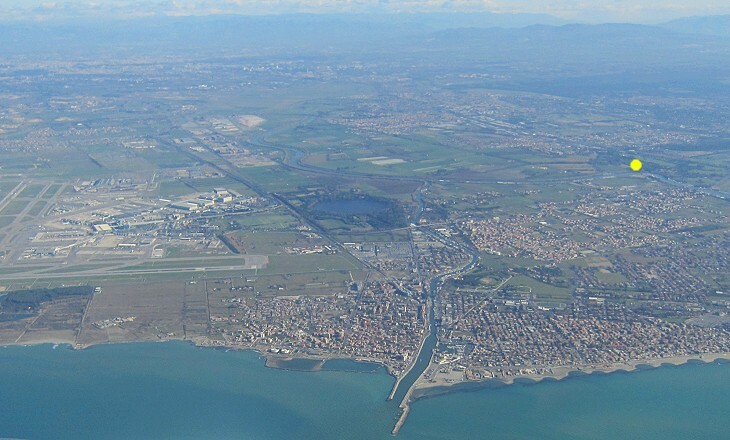 They also drained Swamps to build a portion of Rome itself as well as drain Swamps to facilitate the construction of their RoadWay System to help facilitate trade and the rapid movement of their Legions to Debarkation Ports or to other areas north of Italy!. The Romans aslo built over 7,500 miles of Aqueduct's to supply water to various areas of their Empire!...which helped to keep the Roman Citizens themselves under easier management as well as constructed Aqueduct's into conquered territories to do the same there as well!. The newly subjugated people's loved the Aqueduct's and sturdy ROMAN Road System!. So, these are some of the things that I would like to be able to try to do!. 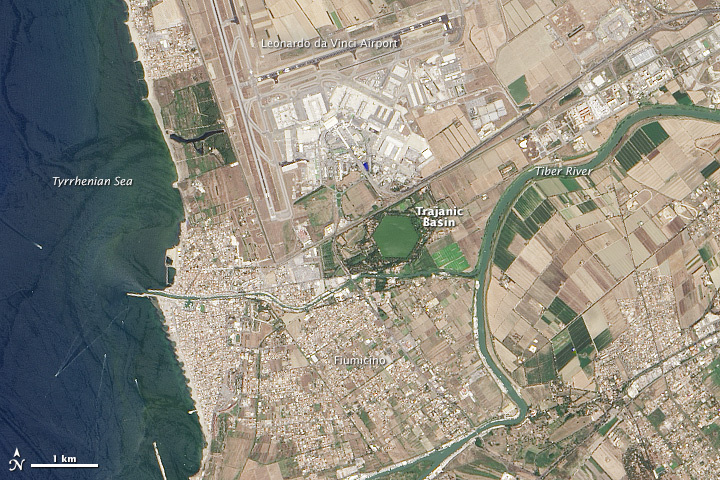 ...As an "After-Thought", I decided to be 'Magnanimous' and let you all see "PORTUS" for Yourself!. 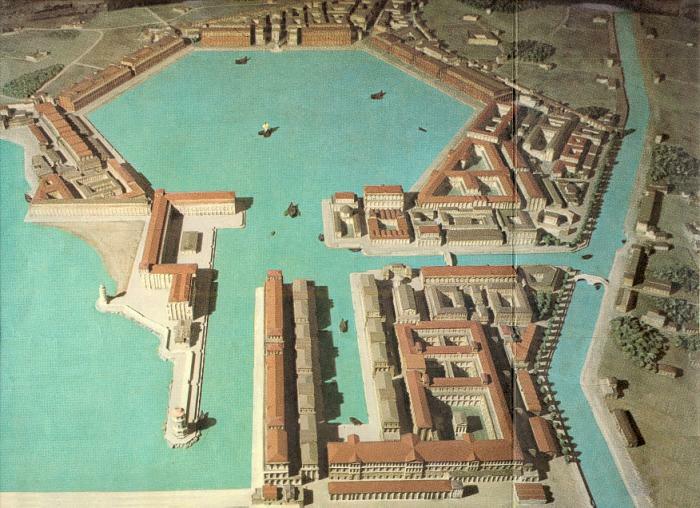 A computer-created image of The large Roman shipyard that has been uncovered at Portus — The ancient port of Rome. Researchers have uncovered the remains of a massive building close to the distinctive hexagonal basin or 'harbor,' at the center of the port complex. 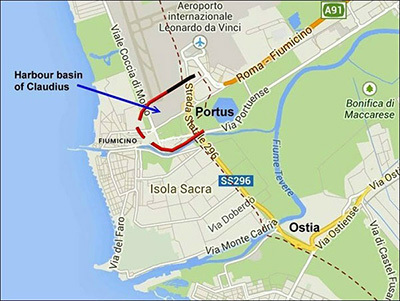 A large Roman shipyard has been uncovered an ancient port in Rome called Portus, researchers reported yesterday (Sept. 22). 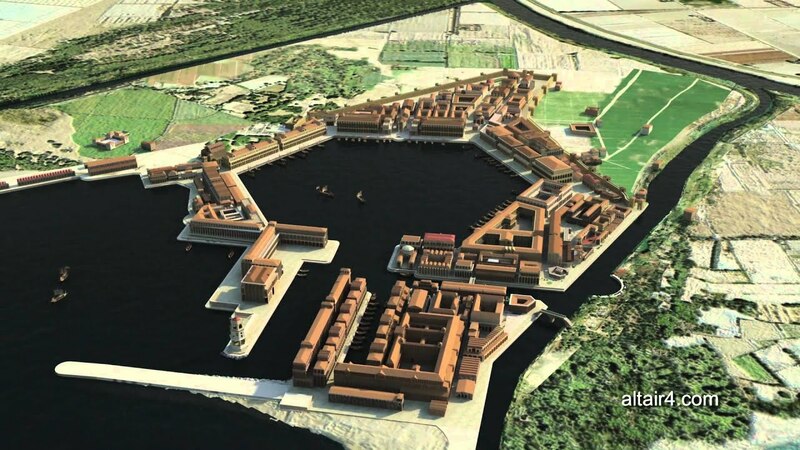 They found the remains of a massive building, dating to the second century, where ancient ships were likely built close to the distinctive hexagonal basin, or "harbor," at the center of the port complex. "Few Roman Imperial shipyards have been discovered and, if our identification is correct, this would be the largest of its kind in Italy or the Mediterranean," dig director Simon Keay, of the University of Southampton, said in a statement. The shipyard building — measured at 475 feet (145 meters) long and about 200 feet (60 m) wide — was about three times the height of a double-decker bus. Within the building, large brick-face concrete pillars, some nearly 10 feet (3 m) wide and still visible in part, supported at least eight parallel bays with wooden roofs. "This was a vast structure, which could easily have housed wood, canvas and other supplies and certainly would have been large enough to build or shelter ships in. The scale, position and unique nature of the building leads us to believe it played a key role in shipbuilding activities," Keay said. The researchers note they haven't found evidence of boat-moving ramps that would have been needed to launch newly constructed boats from the shipyard. These ramps may be beneath the more recent embankments, or they could have been destroyed. "At first we thought this large rectangular building was used as a warehouse, but our latest excavation has uncovered evidence that there may have been another, earlier use, connected to the building and maintenance of ships," Keay said. "Few Roman Imperial shipyards have been discovered and, if our identification is correct, this would be the largest of its kind in Italy or the Mediterranean." The team previously unearthed the remains of an "Imperial palace" and an amphitheater on the site near the newly unearthed shipyard. Keay said the area formed a key complex where officials coordinated the movement of ships and cargo through the port. Portus also contains inscriptions describing a guild of shipbuilders and a mosaic that once adorned the floor of a villa on an ancient road southeast of Rome, now on display in the Vatican Museum. 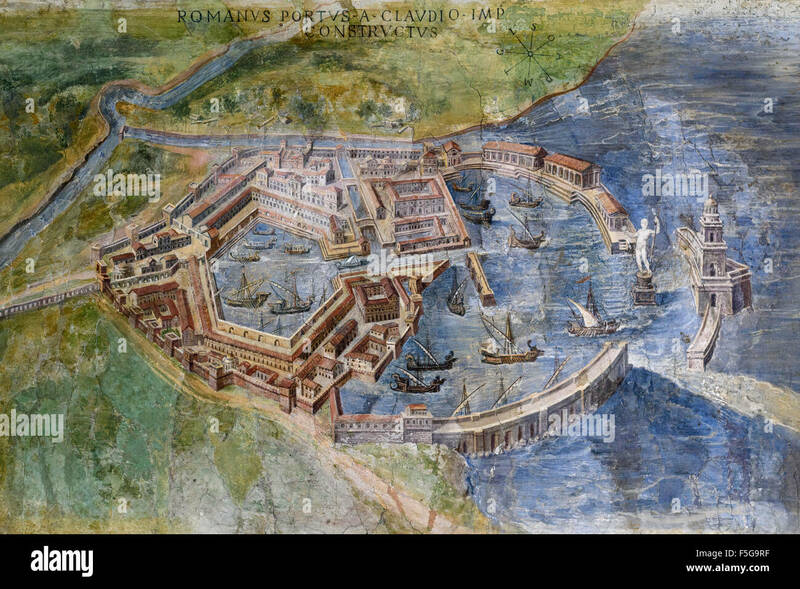 The mosaic shows the facade of a building like the one at Portus with a ship in each bay. in Aggressors there are three features which might be taken as "customization". The first one is called "Customized world" new game. This is basically map generator which creates a new world according to your own parameters. This is entirely fictional world not related to history at all (geographically). 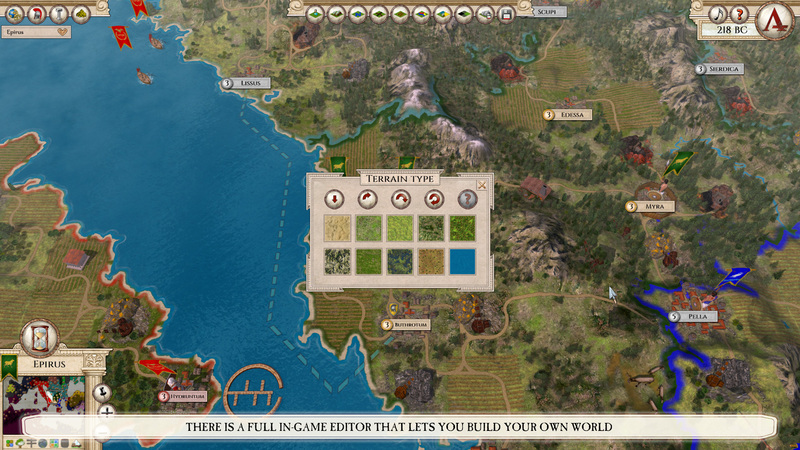 The second feature is an in-game editor where you can change whatever you want in ala "god" mode. Once you are done with changes, you can continue to play the game or you create your own scenario and share it with others. 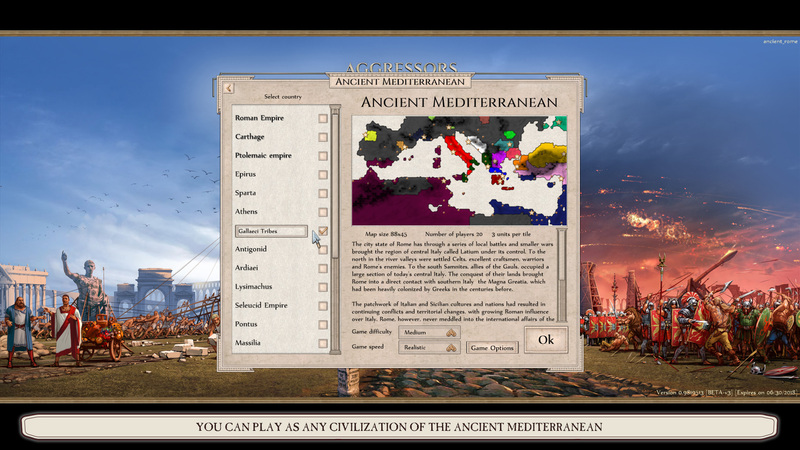 The last feature, and that is probably the feature you would like to hear about, is "transforming" the terrain and changing the course of history. 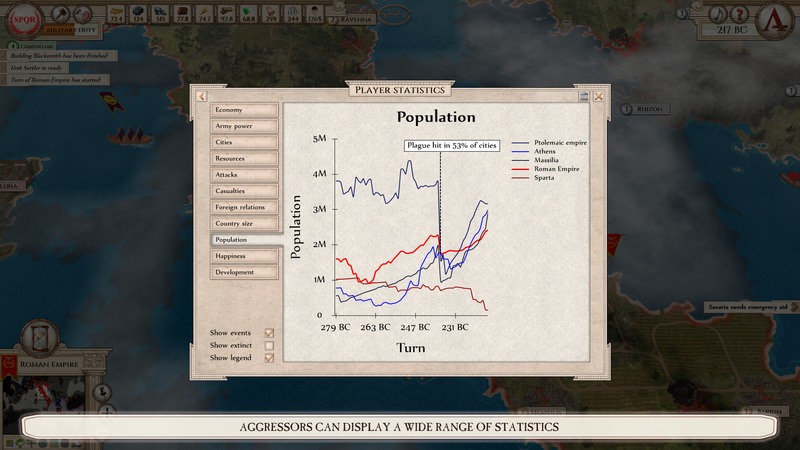 In Aggressors you can build your own defensive walls where you find it beneficial, you can drain swamps or chop wood, build ports or build roads (either dirt roads or better paved roads). The choice is yours. 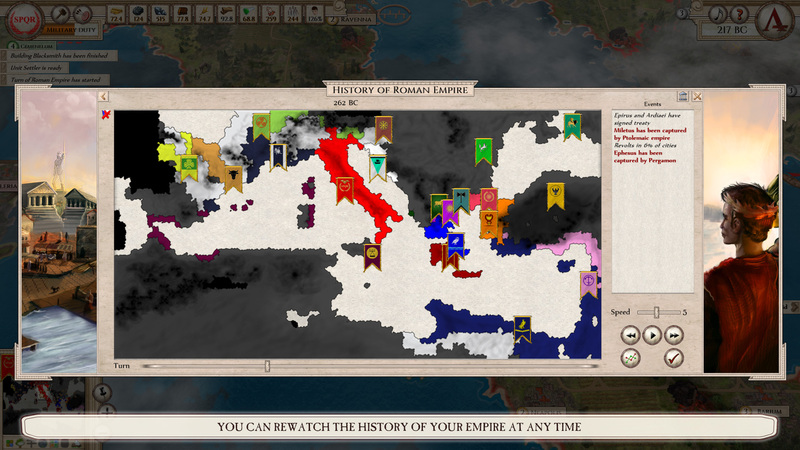 So if I want to build a bridge between Gaul and Britain to invade Zakblood Territory, I can? 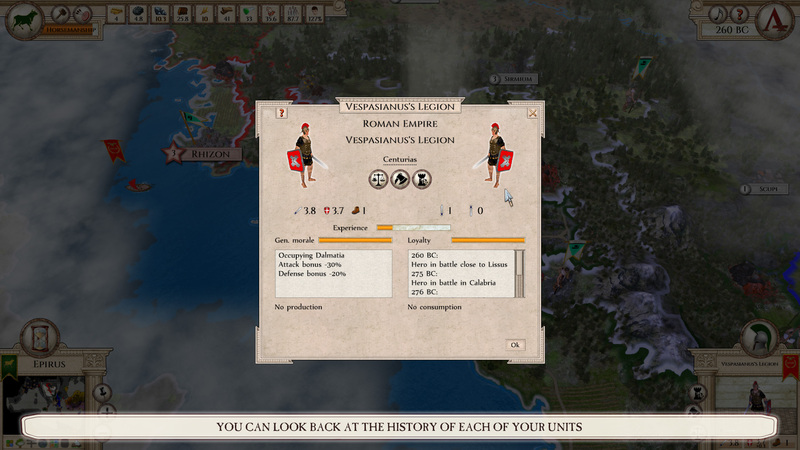 rico21 wrote: So if I want to build a bridge between Gaul and Britain to invade Zakblood Territory, I can? Can i suggest a possible "GAME-NAME" for you "Zakarius"...and that would be "LidLessEyeBall" !! !...alway's on the Watch!, a 'Stool-Pidgeon-Elite'.